When the infamous Doctor Frankenstein dies suddenly, his studious grandson Frederick Frankenstein (it’s pronounced 'Fronkensteen', apparently) travels to Transylvania to claim his inheritance, leaving his glamourous fiancé Elizabeth behind in New York. However, as soon as he arrives, it becomes clear that what was intended to be a brief jaunt to Europe is destined to become something bigger, when, with the help of his gaunt but gamely new manservant Igor and playful lab assistant Inga, Frederick discovers his grandfather’s secret lab, and inside it, the secret to reanimating a human body! From the very moment Young Frankenstein opens, and vicious thunder and flashes of lightening dissolves into a dry lecture room, the tone of the musical is set. Based on the 1974 horror film parody of the same name, Mel Brooks and Thomas Meehan's outrageous musical comedy is a song and dance spectacular for those who love a bit of schlock horror. And boy, is Young Frankenstein schlocky, terribly and purposefully so! With cartoonish painted backdrops and cheap and nasty props (at one point an angry mob-goer (because of course a pitchfork wielding mob plays a part in the story) looks as his torch with dismay as it flickers lamely), Young Frankenstein is a B movie come to life. Broad comedy and cheeky jokes give the musical a Carry On vibe, which may not be for everyone, but for the most part, it gets its laughs from silly slapstick and sight gags, artfully performed by a spirited cast, who make even the bluest jokes palatable. Hadley Fraser is magnetic as Frederick. From a bookish university educator and brain enthusiast, to the fluffy haired, cackling scientist you’d expect to see in a horror film, he’s hilarious at every turn, and with an impressive voice to match it’s easy to see why he catches the eye of Summer Strallen’s lithely Inga, and vice versa. As the flirtatious lab assistant, Strallen is captivating, with a bell-like voice and mesmerising dance skills, she’s impossible to ignore on stage, and holds her own in the comedic moments, which do undeniably favour the male characters. Dianne Pilkington's Elizabeth, who makes an unforgettable mark in act one with her solo Please Don’t Touch Me, is an explosive addition to act two, whilst Cory English reprises his role as Igor, having previously entertained fans on Broadway with his excellent combination of simper and sarcasm. Meanwhile, Nic Greenshields almost steals the show as the monster, bringing the house down with his contribution to Puttin’ On The Ritz, an excellent duet between creature and creator, which features top hats and tails, and back up from the monstrously good ensemble! 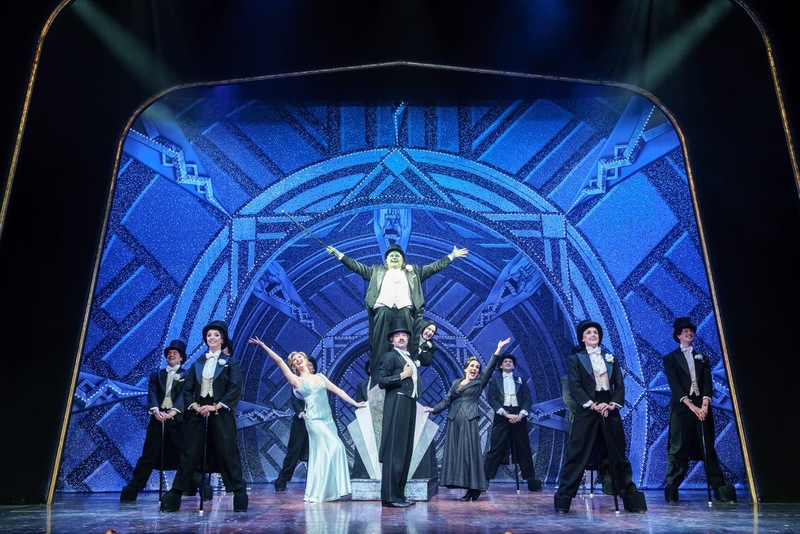 The entire cast are game and fully embrace the nudge and wink humour of the script, making it easy for the audience to get on board from the very beginning, but there are still some aspects of Young Frankenstein which may raise a few eyebrows. Its objectification of Inga and Elizabeth is clearly played for laughs, but still feels a bit uncomfortable at times, and the monster’s overly forward advances towards the latter are also a bit icky, even if everything does work out alright for the pair in the end. All in all though, Young Frankenstein is one hell of a good time. Shameless, irreverent and excruciatingly funny. Sure, it has a few rocky moments, but it never feels malicious, and once Transylvania Mania takes hold, there’s no going back! 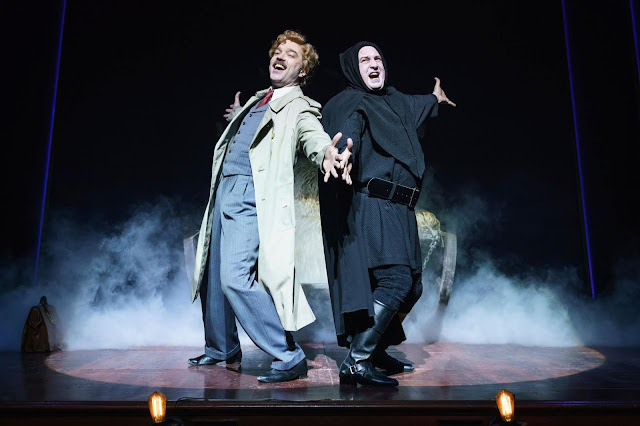 I was invited to review Young Frankenstein thanks to www.londonboxoffice.co.uk.